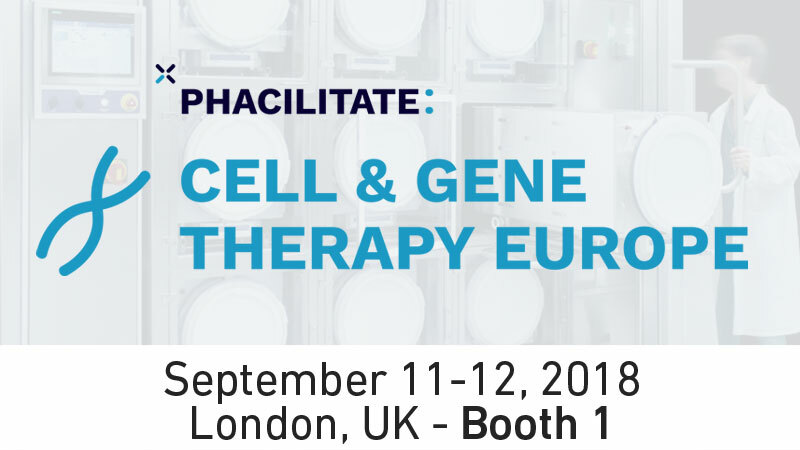 Join Comecer at this year’s Cell & Gene Therapy Europe, uniquely combined this year with Phacilitate: Leaders Europe. It will take place on 11-12 September 2018 at the Royal Lancaster Hotel in London, UK, and you will find us in booth 1. Don’t miss our short insightful presentation at 12:35-12:50 on the first day titled “A cell culture GMP facility of the future implemented in the present” delivered jointly by Massimiliano Cesarini (Comecer Global Sales Manager) and Andreas Eberle (President & Head of Production at Co.don). The equipment we are currently manufacturing for Co.don’s new site shows what isolation technology can do in the cell therapy world, addressing the challenges of aseptic processing, scalability and GMP regulations. This will be of interest to cell factories, regenerative medicine labs, ATMP startups, immunotherapy labs, biopharmaceutical and biotechnology companies. Meet Massimiliano Cesarini in booth 1 and get all the details on FlexyCult™, our purpose-built, multiple, single-batch incubation system for advanced therapy labs, and other customizable isolation equipment you might not be aware of.